July | 2013 | Reclaim America From The Lunatic Fringe! Bill O’Reilly is pretty sure he understands “gangsta culture” and problems faced by black people. Except not at all. What did the Fox News blowhard say was to blame for violence and children being born out of wedlock? And why doesn’t he ever bother to double-check his statistics? WARNING: This post contains the complete unedited video of the actual shooting. Judge, Jury, and Executioner. That can suitably describe John Henry Spooner, a 76 yr old man who confronted his 13 yr old neighbor Darius Simmons, while he was emptying his mothers trash in May of 2012. 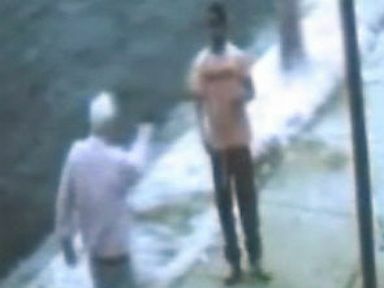 Darius, who was unarmed, was confronted by Spooner, who accused him of taking something from his residence, an allegation Darius promptly denied. Martin Luther King III, the son of Dr. Martin Luther King Jr, refuted outspoken relative and conservative pundit Alveda King‘s recent statements regarding the viral image of Dr. Martin Luther King Jr. in a hoodie. 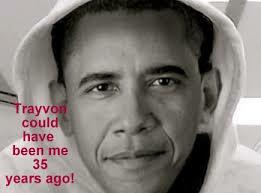 The hoodie image was made as a statement in support of Trayvon Martin, who’s recent case has captured the headlines. Alveda King, who views often put her at odds with not only the Dr. King’s family, but the foundation that bears his name, had gained the media spotlight by saying, “I can almost promise you Dr. Martin Luther King Jr. would not wear a hoodie,”. 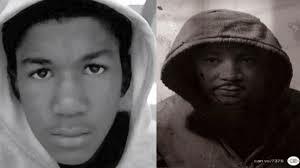 Regardless of Dr. King’s fashion choices, Alveda King seemed to ignore the larger issue of how and why the image was created and gained such popularity in just 7 days, after the Trayvon Martin/George Zimmerman case verdict. He Could have been me…..
We knew it wouldn’t be long before the feeding frenzy behind the Trayvon Martin/George Zimmerman came to a head, but it’s kinda surprising where the first controversy is beginning. Over the weekend Juror B37 gave an exclusive interview to CNN’s Anderson Cooper intimating that she spoke for most of the jurors in the case. NOT SO! Late Tuesday, Jurors B51, B76, E6 and E40, soundly denounced her in a public statement. Not So Fast George Zimmerman! You forgot about the Sexual Molestation allegations from your own Family! Will statements revealed during the investigation of George Zimmerman ultimately land him in Court again or even possibly in jail? 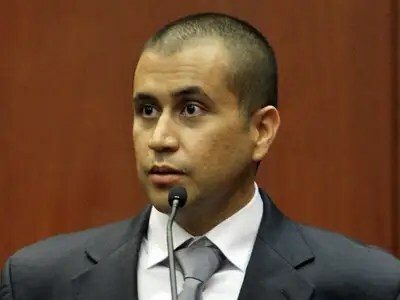 Now that George Zimmerman has been found “Not Guilty” with regards to the Trayvon Martin murder, most of us expect that the next cases he would be facing would be Civil or Federal. I wouldn’t bet on that. George Zimmerman may still face charges in Sanford Florida for the alleged decade long molestation of a family member. The Family member, who was also part of the Trayvon Martin case, was the subject of defense motions to suppress the allegations from coming to light. The allegations, which were made approximately 2 days after Trayvon Martin’s murder and long BEFORE the case entered the national spotlight, have bounced around for approximately 10 months and resurfaced over the weekend after Zimmerman was found “Not Guilty” in the murder Trayvon Martin. The Family members full audio statement is below. Zimmerman Family taking a “Victory Lap”….. Really? In the wake of the Zimmerman Verdict, there are absolutely no winners. You would think that the family of a man that had killed a child, would have a little humility in light of the “Not Guilty” verdict. Not So. and the aftermath guarantees to be as sick as the offense itself.